When the weather is conspiring against you and the kids are bouncing off the walls, an indoor play centre (or soft play for the younger ones) is what you need. 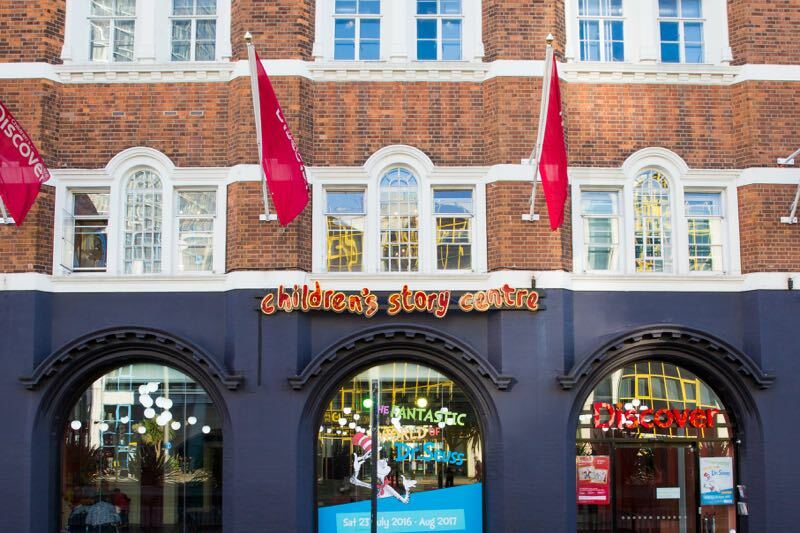 The biggest and possibly the best indoor play centre in London – the kids gave it a score of ‘infinity out of ten’ - KidZania is a child-sized city where the kids are 100% in charge. Everything at KidZania has been created to engage, educate and entertain the kids with over 60 role-play activities available. The kids’ favourites were being a pilot and cabin crew, fighting crime on the streets as a police offer, working in the Cadbury chocolate factory, fighting fires as a fireman, transporting goods around the city as a courier and being a journalist at Metro Newspaper. With names and brands the kids are familiar with, they can add to the 50 KidZos (KidZania money) they’re given on entry and earn a wage at the various jobs on offer. Don’t worry too much about earning money though, the real fun is to be had trying out different jobs (and paying – with KidZos – to perform others) and getting a taste of what a career in that profession could be like. They also get to open a KidZania bank account and have a bank card – a surprising hit amongst all the children there. Simple pleasures! KidZania gets a million bonus points as if your kids are 8 or over, you can check them in while you enjoy the sights and shops of Westfield. Yes, please! There’s so much on offer at KidZania that it’s unlikely they’ll get to do everything they want during their four-hour visit which means another one or two visits will be required to get the most out of the city. We’ll certainly be going back. Is this the best soft play space in London? Quite possibly. It's an interactive space for children up to 8 years old and tells the stories of the museum in a hands-on, stimulating environment while also supporting children's learning and development. Choose from cargo loading in Tip the Clipper, exploring the Victorian docks in Docklands Playtime or becoming a builder in the building role-play area using giant bricks and wheelbarrows. Entry to the gallery is free but you must have a ticket, which can booked online or by collecting a ticket from the front desk on arrival. Discover is for children aged 0-11 and their families. 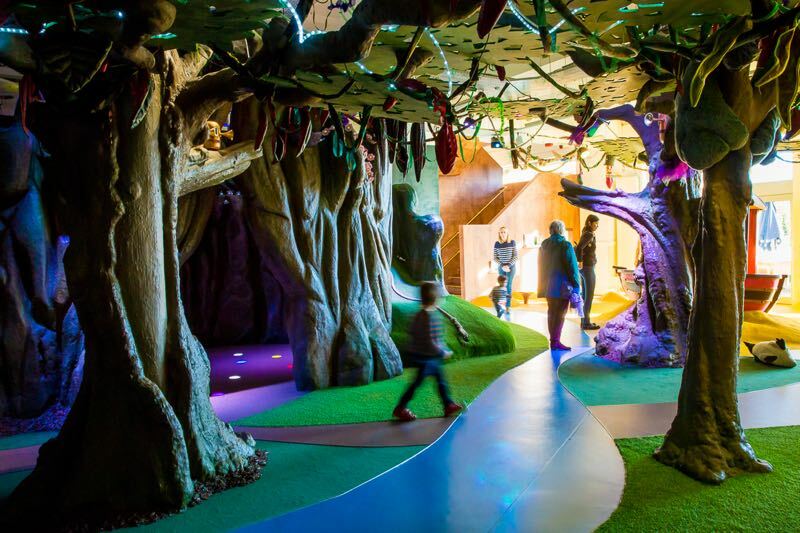 At Story World, spread over two floors, children can unlock their imagination by stepping into a magical forest, dressing up, manning the control panels in a giant space ship, and putting on a performance in the puppet theatre castle and writing and drawing stories. If the weather improves there’s an outside Story Garden where kids can slide down a monster’s tongue, sail away on a pirate ship and play with giant musical chimes. From October 2017, books by Julia Donaldson and Axel Scheffler will come alive in A World Inside a Book: Gruffalos, Dragons and Other Creatures. There are daily craft and sensory stories for 0-3s, and throughout the year, well-known authors and illustrators visit the Centre. Discover is open every day from 10 am - 5 pm. Pre-booking is advised: 020 8536 5555 (Mon-Fri 10 am-5 pm). Entry is £6.50 per person or £22 for a family of 4. The National Army Museum has five permanent thematic galleries – Solider, Army, Battle, Society and Insight, a Templer Study Centre, plus Play Base; a soft play centre for kids age 0 – 8 years old. Play Base sessions last an hour and cost £4.50 per child and with a limited amount of slots available on the day, you might want to pre-book online. Central to the facility is the Assault Course which is surrounded by immersive role-play areas including a Cookhouse, a Quarter Master’s Store, a Field Training Area and a Command Liaison Vehicle. Each play theme reflects an aspect of the army story. Throughout the new galleries there are interactive zones, designed to involve children with a variety of activities, including learning how to march, drive a tank and drum a battle command. Gambado wants to offer more than just soft play, they'd like visiting children to have the opportunity to play, run free and explore in a fun, safe and stimulating environment. Gambado centres offer a wide range of activities where children and adults can play and learn together. The centres are home to some of the largest play frames in the country, giant slides, bouncy ball pits, dodgems, a carousel and even a full-size climbing wall (Watford centre only). They’ve recently launched Toddler Time, a range of activities for younger children that runs every weekday during term time. Check the website for special offers on admission and children's parties. Bramley’s Big Adventure has a three level play frame with slides, ball ponds, climbing, swings and a separate area for under 5's and babies. Parents can keep an eye on the fun in the on-site café and when the kids have tired out, they can use the book swap, toyshop or use one of the many kids’ rides. Rooms are available for private parties. Entry starts at £1.50 for under 1s. Clown Town is the largest children's indoor activity centre in North London with a three level multi-activity play-frame including slides, aerial runways, rope climbs, ball pond and spook room, a toddler/younger kids' area with a ball pond and climbing area. Very young children have their own gated area with soft toys and shapes. The new on-site 6 seater 5D cinema lets you become part of the short film as you feel every movement and effect, including water sprays, breezy winds, smoke and bubbles. Clown Town pride themselves in offering something for everyone and parents of children with special needs are encouraged to visit. Prices start at £5.50 for under 2s. Discovery Planet is restricted to children under the age of 10 and no more than 134 cm tall. The play area is divided into two levels, with swing balls, web climbs, balls and soft mats, a cargo climb net and soft blocks for younger children. Children can explore tunnels, web decking and slides on the upper level. The play centre is on the second level of the Surrey Quays Shopping Centre. Open every day, prices start at £1.99 for under 4s. A standard soft play centre for the kids but a stunning venue for parents to grab a coffee and cake while the kids blow off some steam. Prices are £4.50 for an hour in the junior area / £2.50 in the baby area. Suitable for children age 0 to 9. Prices start at £2.50 for babies age 6 to 12 months. Choose from Romford or Croydon for award-winning indoor fun and classes. Prices start at £6.50 for age 1 to 3. Suitable for children age 0 to 11. Kids age 0 to 12 can enjoy the indoor play and working parents can use the centre as an Ofsted registered after school club. Suited to children age 0 to 9, there’s an outdoor garden enclosure and on-site café. Whatever your child is in to, whether in term time, the school holidays, or the weekend, it’s probably on offer at Under 1 Roof. Choose from a range of centres across London. Small but perfectly formed, the earlier you get there the better as the place fills up quickly. When the kids have had enough jumping around, pop next door and visit the brilliant Small Print Books. Check height and age restrictions before you go but boy and girl racers will enjoy the thrill of being able to whizz around (safely of course) inside. Better yet, they’ll love it if they get to beat you! With tracks in Docklands, Tower Bridge, Edmonton, Acton and Mitchum, there should be a track not too far from you. Clip n Climb in Chelsea is an child (and adult) friendly indoor climbing hall with more than 20 walls of varying size and difficulty. Suitable for kids from age 4 and over. There’s an on-site café for some much needed post-climb refreshment. Check out our guide to the best trampoline parks in London here. Where's your favourite indoor play centre?